1 Year of Marital Bliss! – The FunYuns! 1 Year of Marital Bliss! Things do not magically fall into place once you tie the knot. Your debt doesn’t get wiped clean, your health doesn’t improve, and your relationship does not automatically reach new heights. Just having “love“ is not enough to avoid being just another divorce statistic. You have to work harder at it. Harder at communicating, harder at being more compassionate, harder at being able to maintain this passionate relationship that encompasses this love. The rewards are greater, because hey, isn’t it worth it? The best thing I heard recently on marriage was to envision what kind of relationship you wanted. The traditional Korean marriage is one built on supplication. Where the wife is essentially treated like a maid. To keep perpetuating that thought would mean that you are in fact the husband of a maid rather than the Queen you claim her to be. If you want to be the King of the house, you gotta respect the Queen….unless you’re looking for a concubine. Happy one year sweetheart! I know my mosaic may appear to be filled with the same photos, it is not. Those are all different. Hahaha just wanted to make that disclaimer. 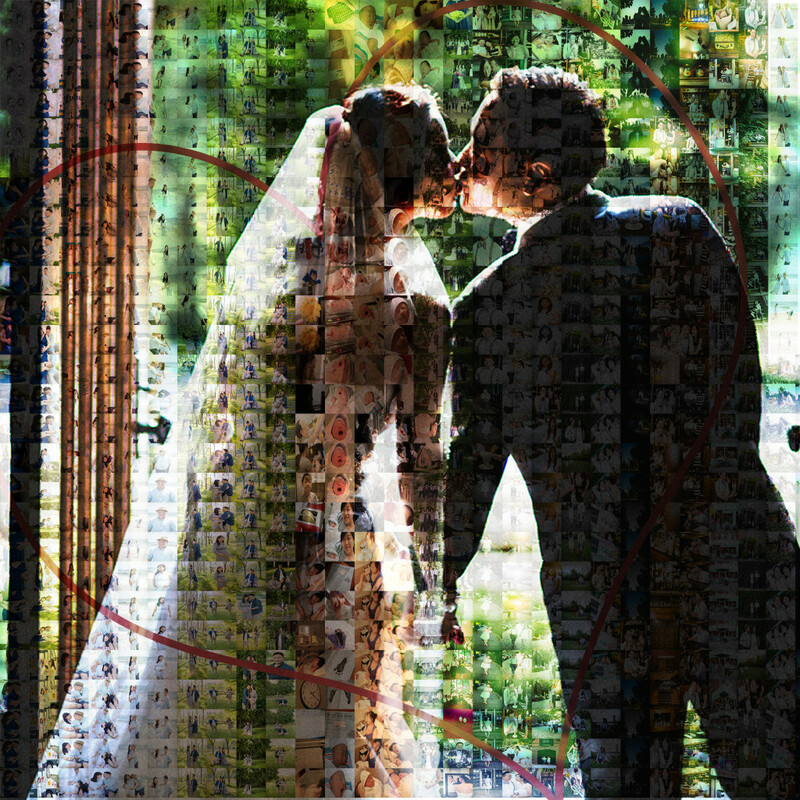 Try not to get sick of it now because I think I’m addicted to making Mosaic Photos now. Be on the lookout!